Letterbox Distribution Melbourne offers a range of letterbox distribution services in Melbourne. We help our clients in getting maximum return on their letterbox advertising campaign. 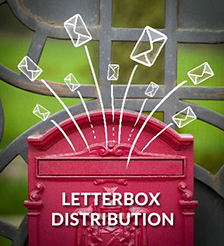 Whether you are a large or small business or promoting a new service, letterbox distribution is one of the smartest ways to advertise, especially when targeting specific geographical areas. Advertising in the form of letterbox distribution can be one of the most cost effective ways to talk directly to your customer. Your printed material will be distributed to the places they frequent, like their home or business. Letterbox Distribution Melbourne provides a complete direct-marketing service; not only do we take organisations through the leaflet design, leaflet printing and leaflet distribution processes; we give friendly and constructive advice regarding the different strategies and approaches to successfully launching and managing a letterbox distribution campaign in Melbourne. We understand that your business focus is offering the best product or service for your customers, so we help you to maximise the time you deal with your customers. Our guaranteed delivery service defines us from our competition so you can be confident that we are delivering your message to your customer as if you were doing the job yourself. In solo or exclusive distribution your leaflet or advertising material will be delivered on its own without any other leaflets competing for the customer’s attention. Exclusive distribution will see you get a higher return for your money as it will be the only leaflet hitting the door mat. It will also ensure your leaflet is delivered to a designated timescale (weather permitting) that is agreed prior to commencing delivery of your leaflets. With Solo distribution you are able to be more targeted with your distribution by picking particular Streets, Areas or full Postcode. We know that other distribution providers may charge you less for delivery – however you have to question the reliability and trustworthiness of these prices. APFD offer what is a fair and competitive price for delivery, keeping in mind the time required to do the job. You can be 100% sure with APFD you will receive exactly what is requested for your business. Is it worth saving few dollars when in fact you are paying somebody to throw away your leaflets or deliver a few before discarding the rest? Shared Distribution or Standard Distribution Is an economical way of getting your brochure or pamphlet through the letterboxes of your potential customers. 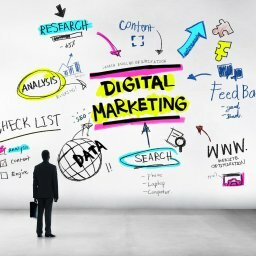 For firms working to a strict marketing budget, the shared distribution plan is an excellent option. With this form of targeted letterbox distribution, the promotional materials are delivered to the agreed locations, alongside with few other non-competitive campaigns. Rest assured that you will still receive the same high level of service when you opt for shared distribution. and is the most trusted source in the industry for reliable leaflet drop and flyer distribution. Many companies invest their time, energy and funds into creating and purchasing leaflets, but they do not focus on the right distribution. If you have invested in creating leaflets, why leave the distribution up to a company you may not be able to trust? We deliver to almost all residential and commercial letterboxes of Melbourne. We always provide a monitored delivery and can provide our own maps or walk on the maps provided by the client. With an excellent knowledge of all areas of Melbourne above we’re able to offer advice on the best locations to pinpoint your target market. And any other customized deliveries like cafes only, retail shops only etc. Unaddressed promotional mail is second only to personalised mail as consumers’ most preferred medium for receiving marketing and promotional communications. It is preferred over TV, radio, newspapers, magazines and email.